Selling your home, especially in a down market, is a big decision that requires commitment and a lot of work. It's a lot like romance, in that you must fix up and set the mood of your house. Professionals call it staging - showcasing the best side of a home to create interest and get you top dollar. Check your personal motivation and reasons for selling your house. If you aren't truly committed to selling and the work it entails - it's simply a whim you had one day for a new house across town - you might be setting yourself up for disappointment. Begin to explore what type of new home and neighborhood you are interested in living in and check out pricing. Weigh your options and decided if perhaps you are best to stay where you are. Be sure to sell your current house before buying a new one. While exploring your options for buying a new house is a good idea, don't get carried away with virtual tours and appointments to view homes. It is almost always more profitable to sell before buying. In order to maximize the sale of your home and stay rational during the process, it's important that you put away your emotions and make the mental realization that this house will no longer be yours soon. Imagine yourself giving the keys to the new owners and do not look backwards. Think of your property as a product, and not your home. Become familiar with all the facts of your house including property taxes, zoning, lot size, square footage, etc. Review the terms of your existing loan and contact your lender to find out exactly how much you need to pay off. Interview real estate agents and talk to neighborhood specialists. Be careful with friends of a friend or your aunt who just got her real estate license. Your house is one of your biggest assets and is more important than a little favor for someone. Call around and ask potential real estate agents for both a marketing plan that outlines their strategy for selling your house and a comparative market analysis for your home. Get their advice on pricing your house but don't let overpricing fool you. Do your research of prices of homes similar to yours in your area. Understand the terms of sales and the property disclosure laws that you need to take into consideration. Contact lenders in your area to understand available financial options for your potential buyers. Being well informed will impress your potential buyers if they ask about this. Since the housing bubble crash, the housing market has dropped tremendously and there are a lot of foreclosures competing with your house. If you are going to sell your home in a down market, you must be willing to make some concessions on price to compete with bank-owned homes. Based on your research, consider setting your price competitively. You might not get the same attention as a foreclosed home, but you will have a competitive advantage against stubborn sellers who aren't as flexible with their price. Plant yellow flowers that evoke the buying emotion. Keep toys, bikes, etc out of sight. Remove personal photos from the walls, perhaps replacing with generic artwork. Keep everything overly organized to send the message that you are meticulous and have taken care of the house. Stack dishes neatly, hang shirts in the same direction, line up shoes, turn coffee cup handles to face in the same way, etc. Remove unnecessary pieces of furniture to make rooms appear larger. Leave enough furniture to convey the room's purpose. Remove extra leaves from tables. Potential buyers are very keen on even the smallest blemishes, disrepairs, dirt, and trash. Go through the house, scrutinize everything and take notes of all the small things that need fixing that could turn off potential buyers. Remember, the buyers are as lazy as you are, and the more things they have to do besides move in, the more concerned they will get. Replace anything your house needs now. Patch holes in walls and re-paint with neutral colors - usually white. Other fees paid by the seller in your area, including surveys, inspections, etc. Don't let this be overwhelming! Let a professional represent you! Contact a Berkshire Hathaway HomeServices Preferred Real Estate Agent today. 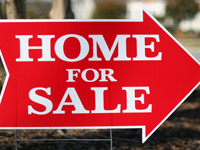 Selling a home is not an easy task, especially if you've never done it before. Here at Berkshire Hathaway HomeServices Preferred Real Estate Auburn (formerly Prudential Preferred Real Estate), we provide you with top-of-the-line real estate tools and techniques in order to ensure that your home sells quickly and for the price you are looking for. We're much more than just a sign out front. Check out our full range of services and tools. Preparing your home for sale is a lot of work! Do you know what potential buyers are going to be looking at? What about cleaning and repairs? Have you ensured your house is in compliance with city and state regulations? Berkshire Hathaway HomeServices Preferred Real Estate can help you get prepared and suggest things you might not have thought of. Market values, fair pricing, negotiation... what a pain! Be sucessful with your pricing by utilizing Berkshire Hathaway HomeServices Preferred Real Estate's expertise. We want you to get the top dollar for your property. We know this area, and we know the market. Let us go to work for you with our experience and resources. The closing and negotiations can be the worst part of home sales. You need someone in your corner to protect you and your interests. Let a Berkshire Hathaway HomeServices Preferred Real Estate agent work to represent your interests. If you know someone looking for assistance selling their home, we'd be happy to help!